I’m so excited to share these tarts with you. They are just so good in so many ways that I am not entirely sure where to start to tell you about them. Do I talk about how they’re so tiny? Or how good they are? Or maybe I should express my excitement over the short ingredient list? I have to pick one to get started, so let’s go with flavor. 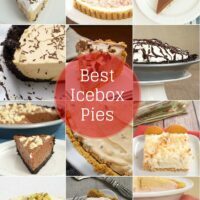 If you say “cream cheese pie crust” and “caramel,” I’m pretty much sold without knowing anything else. 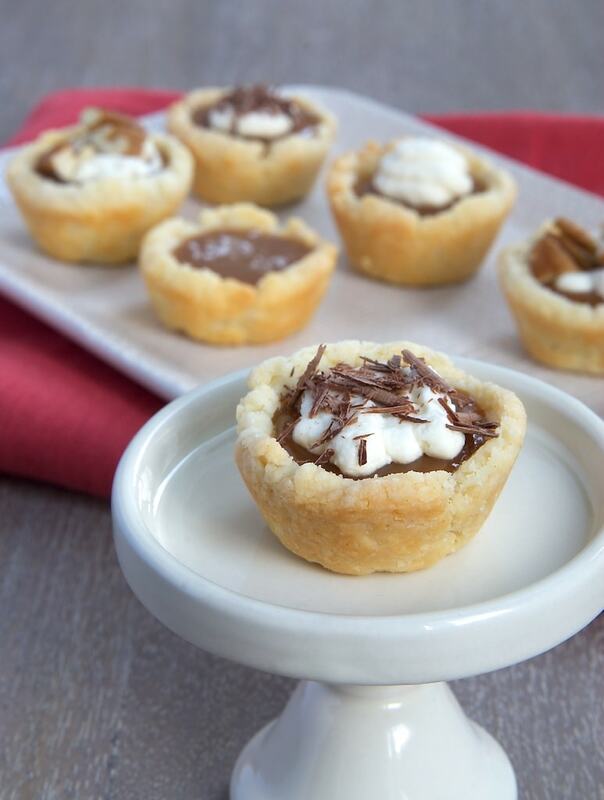 With these tarts, you do indeed begin with cream cheese pie crust. Then, fill that with a simple caramel filling. What comes next is up to you. 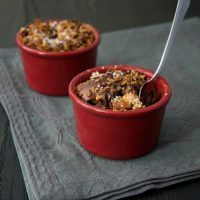 A pinch of sea salt, whipped cream, glazed pecans, a single toasted hazelnut, dried fruit, chocolate shavings… All of these are excellent answers. Now, we’ll move on to the tiny aspect. I have such a soft spot for tiny desserts. Mini versions are, by default, cuter. Right? And, I really like them for large-ish gatherings because there’s no cutting slices of anything. 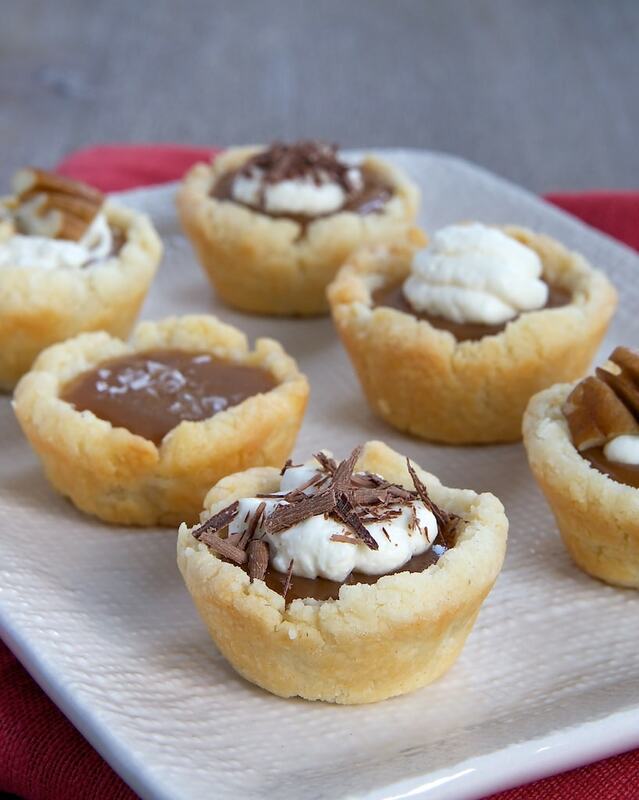 With these tarts, you can make many, many variations just by using different toppings. Just imagine these in all their garnished glory on a dessert tray. Gorgeous! If all of that weren’t enough to sell you on these, let’s talk about how simple they are to make and how the ingredient list is so unbelievably short. 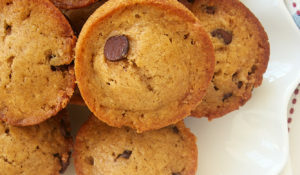 These beauties can be made with just five ingredients. FIVE! Just three for the crust and two for the caramel filling. Then, just add whatever garnishes you like. I love the simplicity of these little beauties. And, of course, the flavor is just lovely. I got a little carried away trying out different garnishes. It’s easy to do! But, don’t think you have to garnish them. They are perfectly lovely all on their own. I used Werther’s Original® Baking Caramels for the filling. You may remember them from those Caramel Popcorn Shortbread Brownies. 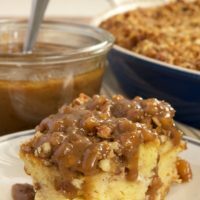 For more caramel recipes and ideas, be sure to visit Werther’s Caramel Shoppe. Using an electric mixer on medium speed, beat cream cheese and butter until creamy. Reduce mixer speed to low. 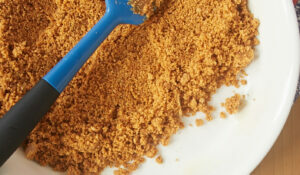 Gradually add the flour, mixing just until combined. Using a tablespoonful of dough at a time, roll dough into balls and place on a baking sheet lined with parchment paper. Refrigerate for 1 hour. Preheat oven to 375°. Lightly grease 42* mini muffin cups. Bake 12 to 15 minutes, or until the edges of the tart shells are lightly browned. Place pans on wire racks to cool. If the bottom of the crusts puffed up a bit, use a tart tamper or the end of the handle of a wooden spoon to press them back down. Allow the tart shells to cool. Then, remove the tarts to a rimmed baking sheet. Place caramels and cream in a microwave-safe bowl. Heat at half-power in microwave in 30-second increments until caramel melts when stirred. Stir until smooth. Fill each tart shell with about 1 teaspoon of caramel mixture. Place tarts in the refrigerator for at least an hour. 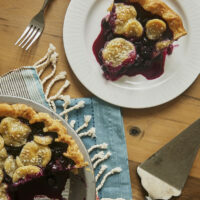 Allow the tarts to sit at room temperature for about 30 minutes before serving. Garnish as desired before serving. *After you roll all of the dough into balls, adjust this number if necessary. **I used a tart tamper to press the dough into the cups. You can also just use your fingers. The end of the handle of a wooden spoon will help get the bottom flat all the way to the sides. If the dough sticks to the tamper or spoon, you can spray it lightly with cooking spray. Disclosure: Werther’s provided me with product samples and compensation for this post. All opinions are my own. 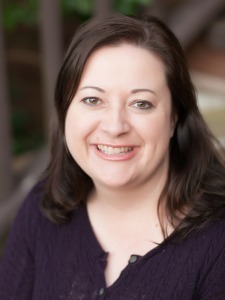 Thank you Jen! You just put a smile on my face this grey, freezing cold Monday morning! These look so tasty. I love cream crust. (Especially, with pecan tassies). I can only imagine just how wonderful these taste! I don’t need to imagine…pulling out the cream cheese right now! Guess what? I have a bag of those Wether Caramels sitting in my pantry too! This is meant to happen today…..
Caramel always brightens my day! 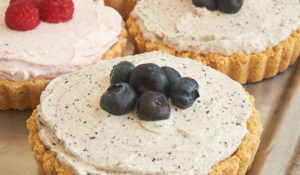 These tarts are lovely! These are perfect! 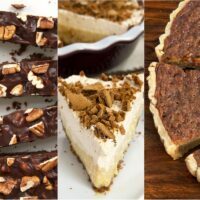 I made tarts today, but with a pecan filling- so delicious! I love mini desserts! 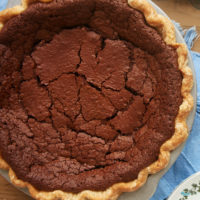 After my epic caramel pie fail last week, I am definitely overdue for a makeup recipe! These are certainly it. How cute! 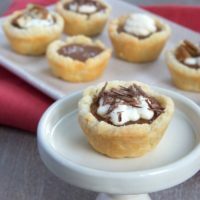 These tarts are adorable. Pinned. I love anything bite-sized. I am definitely adding these to my Christmas baking. Pinned!! Pearse, the tart tamper I have came from The Pampered Chef. It’s also available at Amazon. Still haven’t found my tart tamper after a move 4 years ago. Maybe I will have to break down and get a second one until I find it. I have to say I’m more excited about crust I don’t have to roll out and cut. HA Not a big pie baker for that very reason. I love the sounds of this recipe and I love that it makes so many. Can’t wait to try it!! I don’t think I’ve seen the caramels you mentioned though others have said they see them around in the stores. I can cut off my 5# block instead I guess. Thanks, Jennifer. 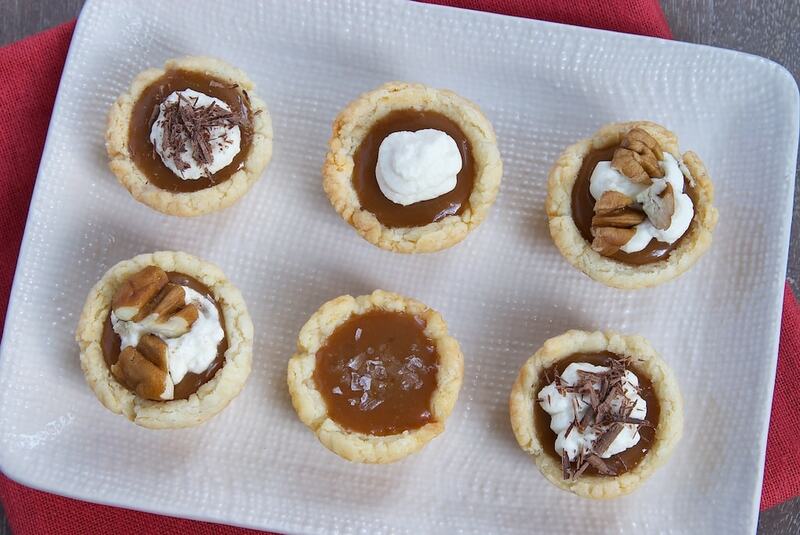 Individual tarts are always better! And you’re right, the flavor combo makes this a ‘must make’ already! Hi, Crystal. I’ve not tried freezing these, but I think they’d do okay if they’re well wrapped and allowed to thaw overnight in the refrigerator. Hi, Grace. They should keep for three or four days tightly covered in the refrigerator.